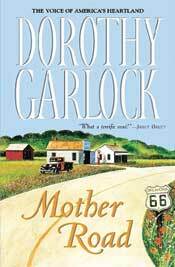 Author Dorothy Garlock has paved her way to success, though the byways she traveled to get there were not always clearly marked. The route that put her books in print turned out to be as promising as the roads of which she writes. She wrote a whole book that winter, and when they came home in the spring, she keep on writing. 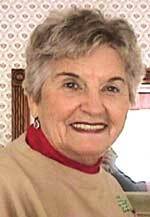 Once she’d finished the fourth book, she entered one in a contest for unpublished writers. Twenty-five years later, Garlock has more than 45 novels published in 15 languages, making her one of the world’s favorite novelists. Known for romances that feature the backdrop of the Old West, she depicts stories of passion, courage and dreams from America’s heartland. Mother Road captures the spirit of rural Oklahoma on Route 66. In her new novel “Mother Road ,” she captures the spirit of rural Oklahoma in the first of a series of novels that are set in the 1930s on Route 66, the Depression’s famed road to the Golden West. Though Garlock’s books are classified as romance, the author says she didn’t intend to pen romance books. Back then, she says, everything was either fiction or non-fiction. Publishers finally settled on romance, which suited Garlock just fine. “Most everything in the world is romance,” she says. “Romance of the road, romance of the forest – it doesn’t just mean love affairs.” It also includes the Depression, a major theme in Garlock’s recent works. “Mother Road” finds Route 66 busy with the desperate farmers whose lives have been devastated by drought, and the dreamers seeking a new life in California. On a hot summer day in 1932, trouble and salvation come to Andy Connors, whose garage serves travelers along the highway. The trouble is major: a bite from a rabid skunk, yet salvation comes in the form of Yates, a stranger whose life Andy once saved. When Yates stays on to help Andy’s family – two daughters and Leona, an unmarried woman living openly with her sister’s widowed husband” he’s soon caught in the turmoil of gossip and threats. “I have always been interested in Route 66, and people from Oklahoma really idolize it,” says Garlock, a native Texan who says she was “raised in Oklahoma City, married a Yankee and moved to Iowa.” Growing up, her family talked a lot about the Depression. Her books, she says, are aimed at making sure people don’t forget that time. Though she’d never written a novel until she retired from reporting, Garlock says ideas were never a problem. Nor has she questioned her craft as a storyteller. Early in her career she met writer Louis L’Amour, who gave her invaluable advice. That advice paid off. With more than 15 million copies of her own books now in print, Garlock is a seven-time New York Times extended list best-seller in mass market. Yet success hasn’t changed the grandmother who responds to all reader mail. I read the first book she wrote and still have it. Have never been disappointed in any of her books. I have all of Ms. Garlock’s books except those written with pseudo names. Have read them each multiple times, enjoying them again & again! I love the western themed ones the best! She makes you feel as a mouse in the corner hearing & observing everything! But then again, she does the same with her books of the 20’s & 30’s as well!! You feel as though you are living within the story! My favorites are The Annie Lash Series, The Dream River Series & The Colorado Series! Each book was a wonderful story that just pulled you into them! Though I have 5 bookcases of books, I have 4-5 authors that are my favorites! Ms. Garlock is certainly one of those! I will always keep the actual books but am now adding them on my Kindle as it is easier to read! I’m now 70 yrs old & disabled! Mrs. Garlock, you are an incredible storyteller! Thank you for sharing your beautiful gift! Praying you keep writing & sharing!